The big three broadcast networks offered up extensive coverage of the shooting near Las Vegas‘ Mandalay Bay hotel. Live special reports were broadcast early Monday morning, covering much of the local news timeslots in most markets. In Chicago, for example, the network O&Os joined their morning shows live starting at 6 a.m. local time — rather than on the typical tape delay. 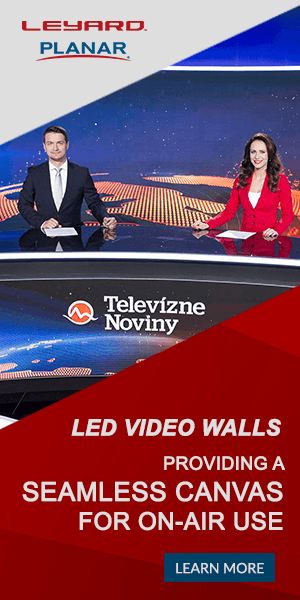 The morning show’s normal hosts, who were hosting the live special reports, continued their coverage. 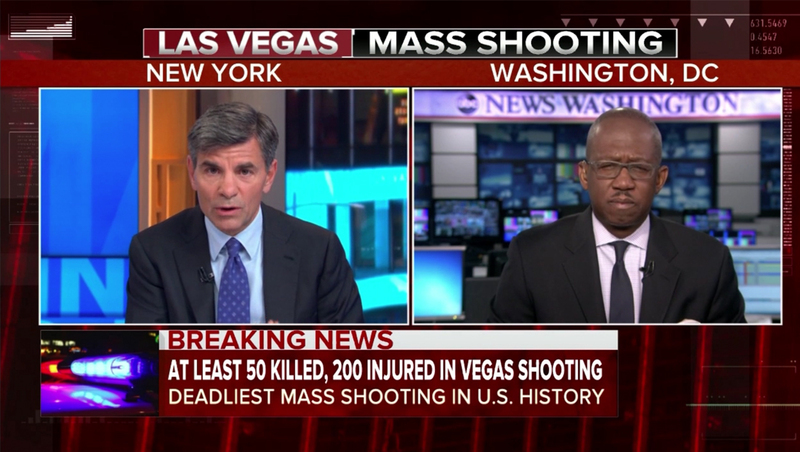 NBC News opened its live coverage under the “Today” banner using a special open and voiceover along with a “Deadly Las Vegas Shooting” logo in the lower left, formed from overlapping squares colored with red, violet and blue shades and using the vertical lines from the exterior of the Mandalay Bay hotel as a background element. In its second hour, the show switched to using the hard hitting musical bed most recently heard during its hurricane coverage. “Good Morning America” on ABC also used a special open under the banner “Las Vegas Mass Shooting” in red. The “CBS This Morning” team, meanwhile, opened the 7 a.m. eastern hour without an open, simply rolling from the network’s special report and continuing to use the special report graphics briefly before switching the red breaking news iteration of the show’s normal package.